Starfighter #12641 is now on display outside the Museum. 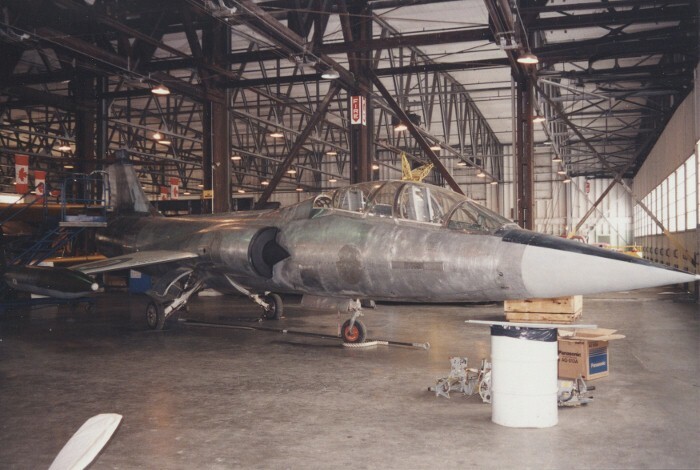 One of the most revolutionary military aircraft ever produced, the F-104 Starfighter was designed by Kelly Johnson and his team in 1952, at Lockheed’s legendary "skunk works" in Burbank, California. The USAF ordered two prototypes in early 1953 and the XF-104 first flew in February 1954. Records established by the F-104 Starfighter are impressive: world altitude & speed records of 91,240 feet and 1,404 mph respectively in May 1958, world altitude record raised to 103,395 feet in December 1958 and unofficial world altitude record of 120,800 feet in December 1963. 200 CF-104s (F-104G) were ordered by the RCAF, in July 1959, to replace their aging F-86 Sabres. Canadair was licenced to build the single seat airframes and Orenda, the General Electric J79 turbojet engines. 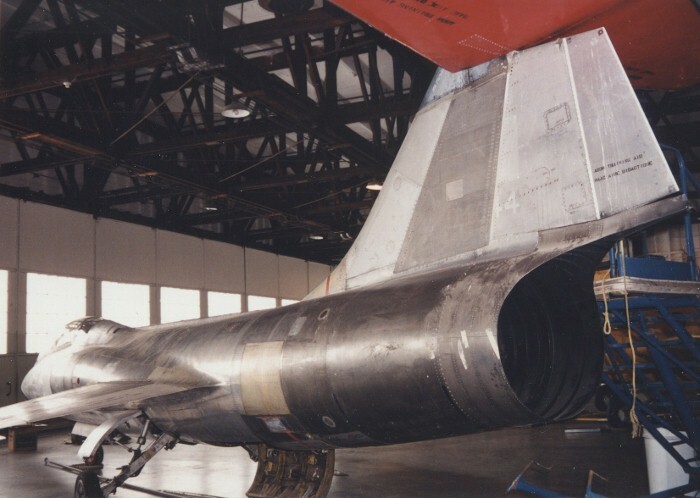 A further 38 CF-104D two seat trainers were supplied from Lockheed’s Palmdale, California plant. 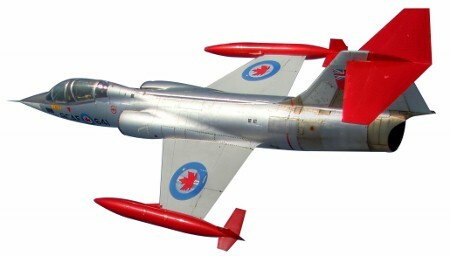 The first Canadair built CF-104 flew in May 1961 and initial deliveries of CF-104D trainers were made to CFB Cold Lake, Alberta, late the same year. No. 427 "Lion" Squadron first flew the CF-104 with NATO in Europe, in a nuclear strike role, in late 1962 and a further seven squadrons joined them the following year. 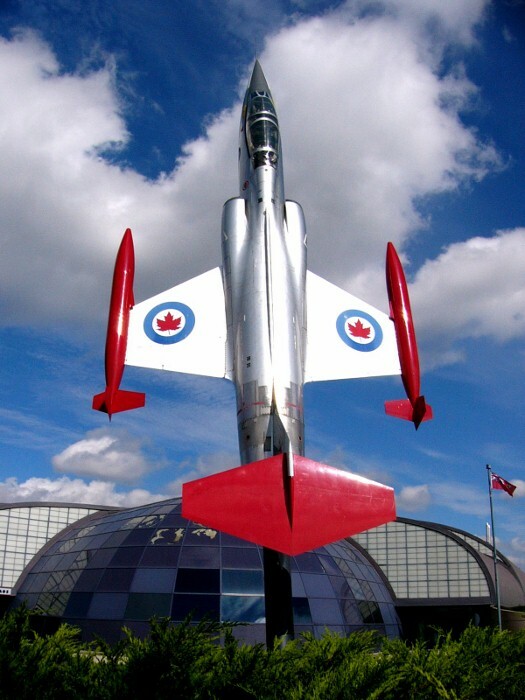 CF-104s served in the strike role until 1971 when they were converted to ground attack fighters. They continued to serve as fighters until early 1986, when the CAF squadrons based in Germany retired them. A total of 2,579 Lockheed F-104 Starfighters were produced around the world. Besides manufacturing 200 CF-104Gs for the RCAF, Canadair built another 140 aircraft, between 1963 and 1965, for several other nations under the US Mutual Aid Program. 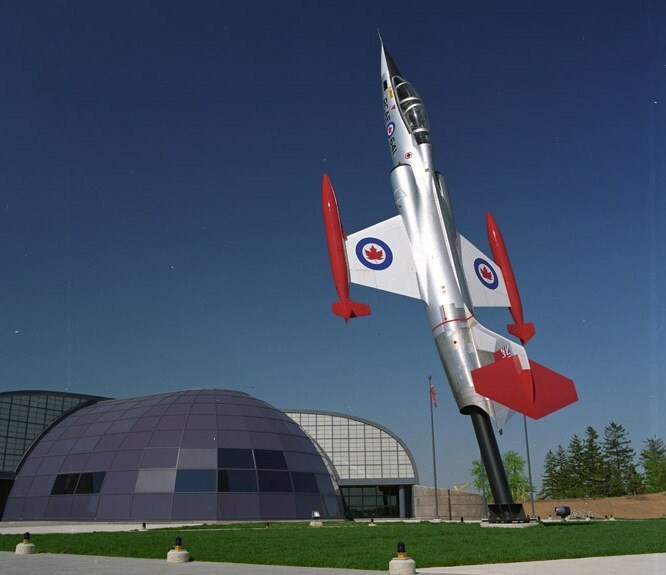 The Museum's Starfighter on display outside the Museum is a CF-104D, a two seat trainer version. The aircraft was acquired from the Department of National Defence in late 1995.